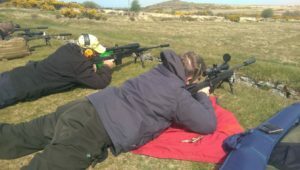 The Tamar Rangers is a group of shooting enthusiasts based in the South West. We are from all different backgrounds but share a common love of shooting. We are well known for our friendliness and good humour. 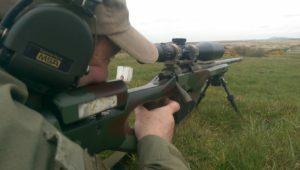 We meet normally twice a month, but sometimes more to shoot everything from rimfire to centrefire. We have 3 formal competitions each year – Small Bore, Full Bore, and Historic Iron Sights and occasional ad-hoc friendlies. We enjoy our shooting, take pleasure in each others’ company and making holes in paper targets. 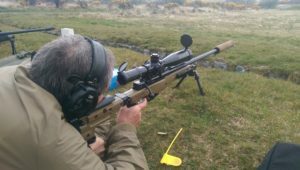 We cater for all interests, for those who just wish to pop off a few rounds, through to those who take their accuracy very seriously and have the kit to prove it. 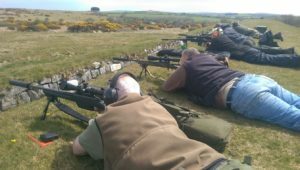 The club shoots at two ranges – Millpool on Bodmin Moor and Parracombe on Exmoor. Members also make the odd visit to Bisley, just to show those boys ‘up country’ how to shoot! 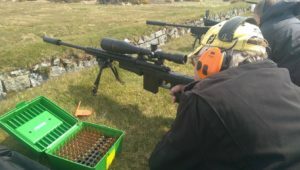 At Parracombe, we tend to shoot small bore, test loads and zero rifles; although we also fire black-powder rifles and pistols. 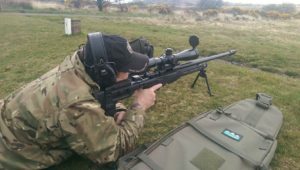 At Millpool we fire at longer ranges – from 200yds up to 600yds. Tamar Rangers have numerous NRA Range Conducting Officers and several NRA Certified Club Instructors. We have the people with the skills and expertise to develop and guide new members in the sport of rifle shooting.